Organizing and remembering an entire family’s schedule is difficult to say the least. There are multiple schedules to memorize, meals to plan, errands to run, to-do lists, and not to mention managing your own schedule. If this describes you, we have the perfect solution – the Family Plus or Mom Planner. These planners allow you to track everything in one place! You have to manage a lot for your family, around the house, and at work. Within this planner we have created certain areas for all your different responsibilities. Dinner takes a lot of planning – so what better place to plan it than your planner! In this planner there is a section each week dedicated solely to writing down your family’s dinner menu. Conveniently, there is a notes section so you can jot down your grocery list or any other notes you will have. To-do lists are important, the Family Plus and Mom Planner both have a section dedicated to your to-do list and errands each week. 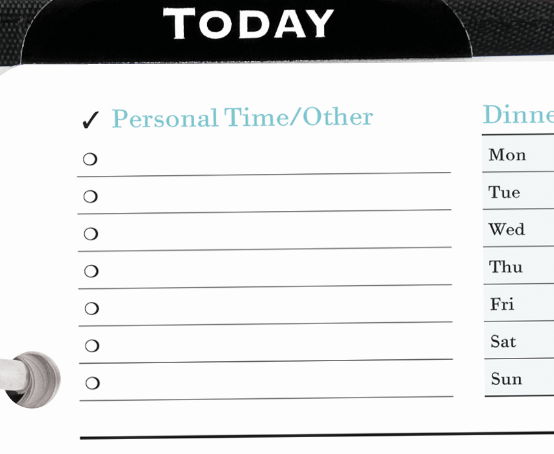 We know you have a life outside of work, so we included space in your planner for personal time. No matter if you need a massage for all your hard work this week, if you help your kids school, or if you volunteer in your community there’s a place to schedule your personal time. We all know that sometimes you can’t trust people to remember their own schedule, and that’s OK because life gets overwhelming sometimes. The Family Plus planner can help because it has different sections each day to track four or five different schedules. 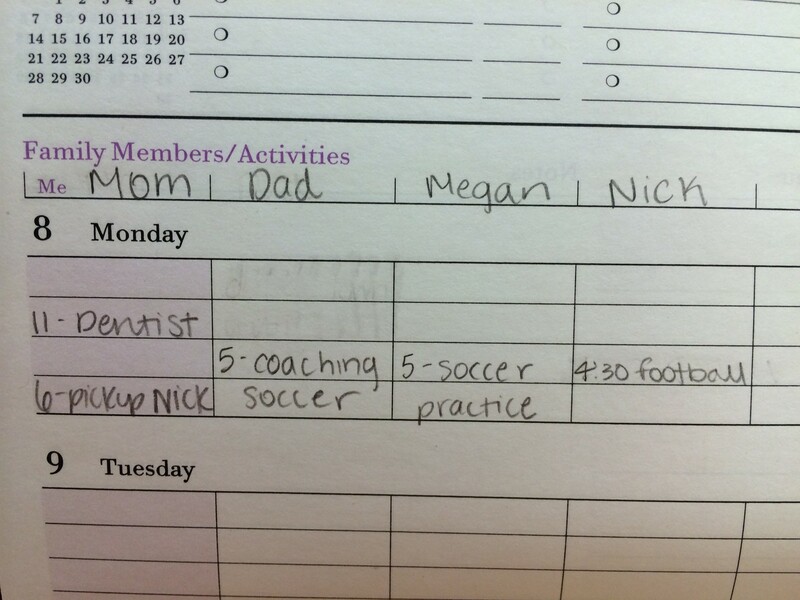 You could have the whole family’s schedule in one planner! On the other hand, the Mom Planner allows you to focus on your schedule while having space for your home and family schedule. If you have either of these planners, long gone would be the days of missing the important events in your day. The differences between the Family Plus and Mom Planner allow you to choose which meets your needs and would be perfect for you. Whether you want to have the whole family’s schedule or just your own in your planner, each layout has different sections that reflect your home, work, and personal schedule. These planners start in July, so find the perfect planner for your busy life right here. If you already have one of these planners you can purchase refills here.